Are you thinking about picking up Badminton? Did you know that it’s a fast-paced sport that requires agility and rapid, multi-directional movement? Well, you need to note this, and being keen on your badminton footwear choice is critical. Choosing the best badminton shoes ensures you’ll play at your best while you’re moving on the court. Additionally, well-designed shoes go a long way in preventing injuries. An aspiring Badminton player like yourself needs special shoes with thinner soles for more stability, steady support, and reduced injuries. PU and wood courts all but require players to wear rubber-gum soled shoes. These provide an amazing grip and excellent traction, so long as they are kept clean of dirt. Dirt builds up easily on gum rubber soles, drastically cutting down on their traction. Cement playing courts call for thin soles for stability. 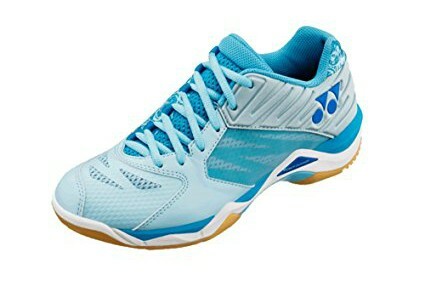 This article presents what I’ve found to be the 4 best badminton shoes for men and the 2 most amazing best badminton shoes for women in the world. It also provides an in-depth guide on the right specifications for the best badminton shoes. Finally, it offers the basics on which pair of badminton shoe is the best for different courts and playing positions. Best Badminton Racket for Beginners. Note that the best badminton shoes should be lightweight and should have good cushioning and appropriate traction with an excellent grip. Below are factors to consider while choosing a badminton shoe. Look for the shoes with the best grip. Most badminton courts are slippery, hence making crucial turns while playing may be difficult. Choosing shoes with deeper groves provides better footing on slippery grounds. For wooden courts, rubber gum soles provide the appropriate support and stability. Low traction may lead to accidental falls while playing. Traction refers to the friction between the floor and the sole of your shoe. More traction improves fluid movement, as you aren’t likely to hit the ground every time you need to make a sharp turn. A balanced grip and traction provides you faster movement and steady support. Good ergo-shape results in excellent stability. Ego-shape is also referred to as contour, which is defined by the way your shoes are shaped. Shoes with good ergo-shape provides comfort around your foot, particularly the toes and forefoot. This enhances organized and efficient badminton footwork. Basically, power cushion refers to well-cushioned shoes aimed to prevent injuries. With good cushioning, one can easily and quickly move in any direction without enduring harm. Cushioning absorbs shock and landing impacts. Specially cushioned shoes result in excellent performance, enhanced comfort, and stability. The wearer can comfortably and easily make forward and reverse movements, as power cushion is crucial in maintaining the balance of the body during motion. Breathability is all about airflow. Shoes with poor breathability could turn your shoes into swamps, and who wants to play in that? Breathability helps mitigate sweating, which is the source of the problem. On top of that, good airflow may help prevent blistering due to playing with sweat caked around your feet. Among the best breathable materials commonly available is the Double Russel Mesh. Shoes made from this material are durable and lightweight. They have excellent airflow—eight times superior to normal shoes. So far, you have tips on how to choose the best badminton shoes, which will help you to play comfortably and perform well. I therefore present to you a list of the best badminton shoes that are widely available in the market today. It is advisable to peruse through them and make an informed decision based on the guidelines provided above. The ASICS Men’s Volley Elite FF MT Volleyball Shoe is among the best badminton shoes in the world for men. They have cushioning that sharply reduces shock that occurs in two key moments of the foot’s natural gait cycle, or stride, which is massively important in high-movement games like badminton. These pair of shoes boast reduced shock during the toe-off and impact phases of the gait cycle, enabling the player to make any plane movement needed in the sport with ease. This pair of shoes is 100% synthetic with a rubber sole. The upper part of the shoe has an open mesh that provides breathability and excellent comfort while playing. There are sizes for both the average person and others, ensuring that your feet are not choked as you play. They are light and comfortable. The sizes are true, with extra room in the toe area. The feet slide a little bit while in the shoe. On dusty courts, these shoes may pick a lot of more dust—hence, one will have to wipe them pretty often. These are among the best budget badminton shoes to have come out so far in 2019. Yonex Men’s Power Cushion SHB-02 LTD Limited Edition Badminton Shoe-Bright Red are nice shoes with an appealing and bold look. They are always shiny red in color. These badminton shoes will not only protect your ankle and feet from injuries while on the court but will also provide wonderful elasticity. Yonex Men’s Power Cushion SHB-02 LTD Limited Edition Badminton Shoe-Bright Red is readily available in all sizes. Beginners will particularly enjoy these as they offer extreme comfort and excellent ventilation. They are affordable and can be used for both indoor and outdoor courts. The outsole material is rubber, the midsole material is made of ToughBrid light power cushion, while the upper material is made of a durable skin of PU leather polyester mesh. All these combined results in a lightweight, comfortable, and durable shoe that will help you to at your best whenever you step out on the court. They offer great arch support. They have an outstanding grip. Cannot be worn with thick socks. Adidas Court Stabil Men’s Indoor Court Shoe Badminton/Squash/Racquetball/Volleyball is a synthetically made indoor court shoe that has been popular for years. And as its name suggests, it has great versatility of use across an array of sports. The shoe is designed with a number of durability-minded technologies, including a SprintSkin upper—a lightweight approach to durability—and a TPU toe cap. For stability purposes, the show is designed with SprintPlate to ensure that the player is stable at all times on the court, both while landing and pushing off. These shoes are fit for male players with a medium width foot. They are true to size; hence, one should get the size marketed in accordance to the width and the narrowness of one’s feet. Rubber sole less prone to sliding. These are possibly the most professional badminton shoes that can be acquired through import. They have an X-structure design, are amazingly cushioned, are well fitting and comfortable, and have an excellent grip and good anti-slipping capabilities. These shoes are made of TPU material and have an ergonomic toe shoe design, which makes them more comfortable for the wearer. The X-structure design consists of a tightened heel device that makes this a suitable anti-rollover shoe. Moreover, it is grooved on the forefoot area, a feature that facilitates easy bending and a quick rebound. Many badminton reviews attest to the high quality of import. The shoes have no damages, are clean and stainless, and have no thread-outs. Keep an eye for the genuine labeling that verifies authenticity. In function, these shoes have a lot going on for them, but the aesthetics of the color designs may or may not be to your tastes. They utilize high quality imported materials. You may find the colors garish. These are among the best badminton shoes for women’s badminton, with a lightweight grip and enhanced stability and support. Layers of thin cushioning keep your feet in tight contact with the ground. As a result, you won’t feel like your fighting your shoes. They respond. Babolat Shadow 2 Women’s Badminton Sneakers/Shoes have a spring effect on the outsole, which allows ideal vertical rebound. The company also boasts HTS Technology that is intended to ensure that you get optimum heel-to-toe support. Being made of rubber and EVA material, the shoe has more dampening and hence more rebound. Spring VK and Vibrakill—the two exclusive materials of EVA—and rubber are foundational in these effects. There is excellent ventilation and breathability, as 50% of the shoe’s upper material is meshy and the insole is micro-perforated. They offer a comfort that lasts, all thanks to puffy materials in the collar and a customized fit. 2. Yonex Comfort Z Women’s Badminton Tennis Indoor Court Shoes. Yonex Comfort Z Women’s Badminton Tennis Indoor Court Shoes are another excellent shoe choice for women. They are available in a wide array of weights and sizes. Additionally, the shoe’s design is attractive and stylish, which players who want their attire to look as good as they function will appreciate. Yonex Comfort Z Women’s Badminton Tennis Indoor Court Shoes is easy to use, durable, and comfortable. They have a snug fit, which may not be ideal for players who typically use wide-fit shoes, but is ideal otherwise. And the sole is entirely power cushioned. The upper part of the shoe is made of Double Russel Mesh. The outer part is rubber. And the midsole is hyper msLite with power cushioning and a power graphite sheet. They are breathable and comfortable. They have an attractive design. Not fit for wide-fit wearers. Has limited selection of colors. If this article guides you to one conclusion only, realize that different playing courts dictate the need for special badminton shoes. Factors to consider in addition to those at the beginning of the article are the width, sizes, durability, and design. But if you’re with me still, you’re likely still wondering which shoe is the best. That depends on you. Asics Men’s Volley Elite FF Mt Volleyball is perhaps the perfect shoe for indoor badminton for men. It is well cushioned with gel systems on both the rear and the forefoot for enhanced comfort. Yonex Men’s Power Cushion SHB-02 LTD Limited Edition Badminton Shoe-Bright Red is more fit for beginners. It provides a wonderful grip while you play and they will do a great job keeping you from slipping. 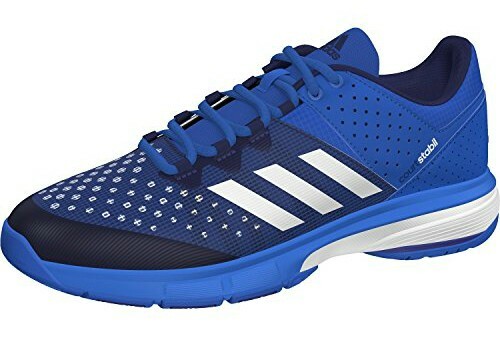 Adidas Court Stabil Men’s Indoor Court Shoe Badminton/Squash/Racquetball/Volleyball is the best for men who other indoor sports such as the volleyball, squash and the racquetball as much as they love badminton. LI-NING Men’s Saga TD Professional Badminton Sports Shoes LI-NING Men’s Saga, TD are stylish; they have a bright color collection and serve those player who like imports, attractive design, and good function on the badminton court. Finally, Yonex Comfort Z Women’s Badminton Tennis Indoor Court Shoes are best for stylish women due to their attractive features. They are fit for both beginners and skilled players. I’ve laid out the pros and cons of what I’ve evaluated to be the best shoes in one convenient place. Use this information keenly to choose the best badminton shoe for your needs. Otherwise, you will suffer discomfort, poor performance, and accidents—something that may cause you cause you to lose your taste for badminton right off the racquet. And I hope that won’t happen. Badminton is a great game, and I hope to see you on the court someday.